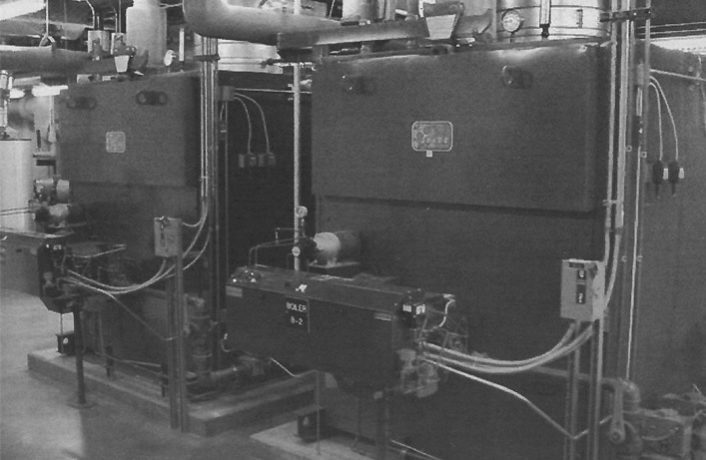 Rite has manufactured High Temperature Hot Water Boilers with safety and reliability in mind for well over forty years. From large central heating plants to a wide variety of industrial process loads, these heavy duty watertube boilers are available in 16 different models, ranging from 398 to 10,456 MBH input (9.5 - 250 Boiler Horsepower). 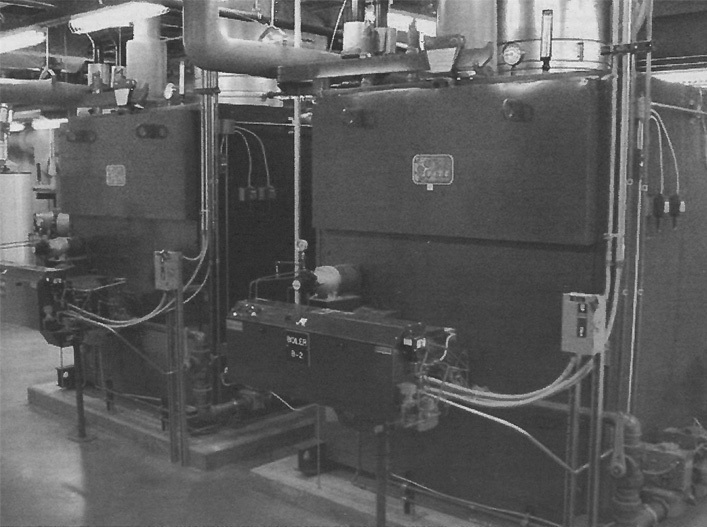 Capable of providing 250° to 340° F water or higher, these boilers compare favorably to thermal hot oil heaters and high pressure steam boilers. High temperature water boilers have •no high cost thermal oil fluid • no coking • no environmental spill issues • superior heat transfer efficiency over thermal oil. Benefits over steam include • no auxiliary equipment such as : blowdown tanks, deaerators, water softeners, chemical treatment, feed pumps, steam traps, condensate return lines • no "open system" energy losses • less scale and corrosion. So simple to maintain and operate, Rite High Temperature Hot Water Boilers feature complete waterside access so that virtually all scale and mud deposits can be seen and mechanically cleaned during a single scheduled maintenance shutdown. The result - Better fuel-to-water efficiency and lower operating cost over the life of your boiler investment. Consider a few of our other standard features: • Rite's floating heads that eliminate pressure vessel cracks and broken welds caused by thermal stress cycling (backed by our 25 Year Thermal Shock Warranty ) • Tubesheets up to 1-3/4" thick that virtually eliminates tube loosening or weeping- and you have a better boiler by design.